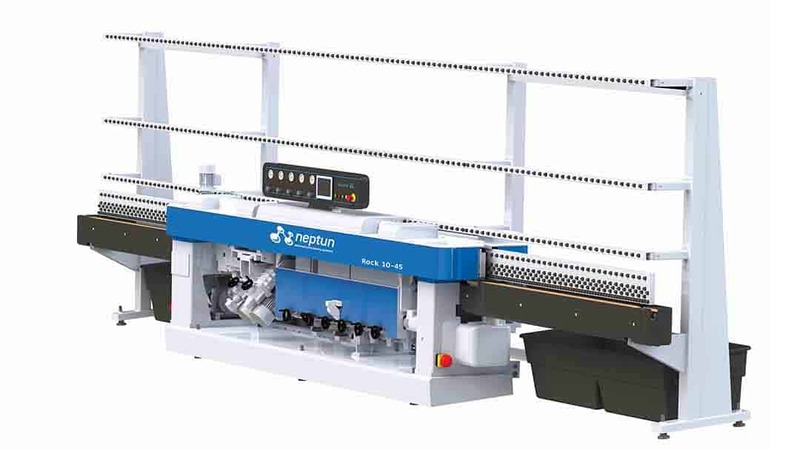 The Rock 8 is Neptun’s 8 spindle cup wheel edger. It is able to process a flat with Arris edge on glass from 3MM (1/8”) to 40MM (1 5/8”) with a quality edge that Neptun is renowned for… Clear, consistent edges! 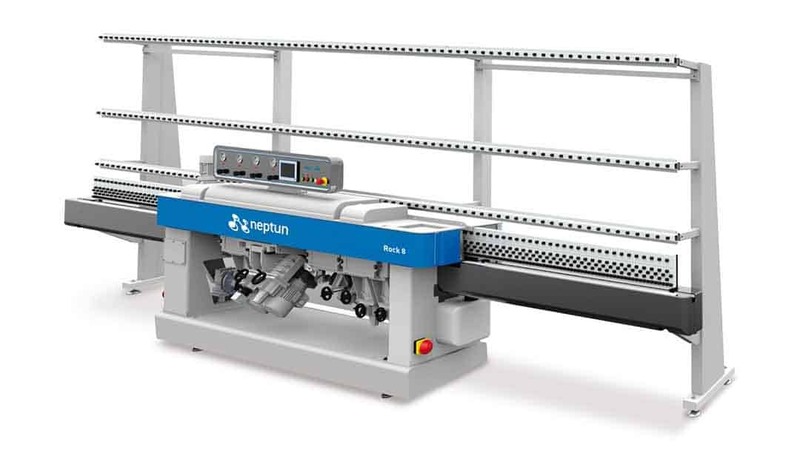 The Rock 10-45 is Neptun’s 10 spindle Variable Angle Mitering Machine. The ROCK 10-45 is able to produce either a Flat with Arris edge, or a Mitered edge from 0° to 45°. 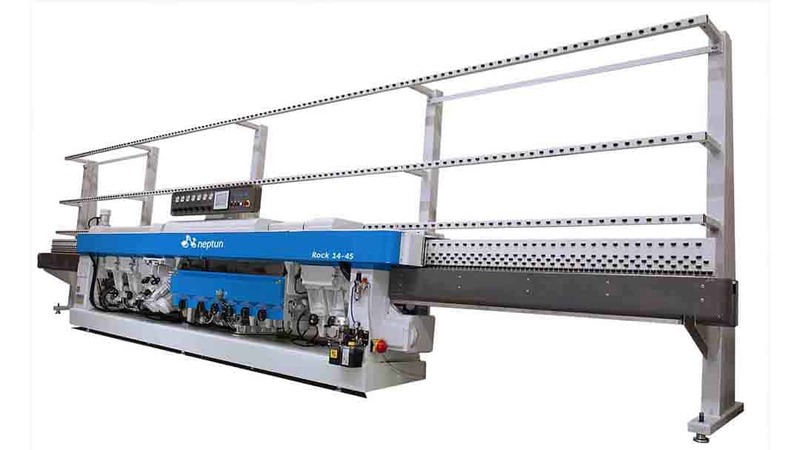 The Rock 10-45 only produces one edge at a time; if it is necessary to produce the flat edge and miter at the same time, we also offer the ROCK 14-45. The polished edge quality is the high standard that Neptun is renowned for: Clear, consistent edges! The Ultimate solution for those who need to Edge and Miter at the same time! 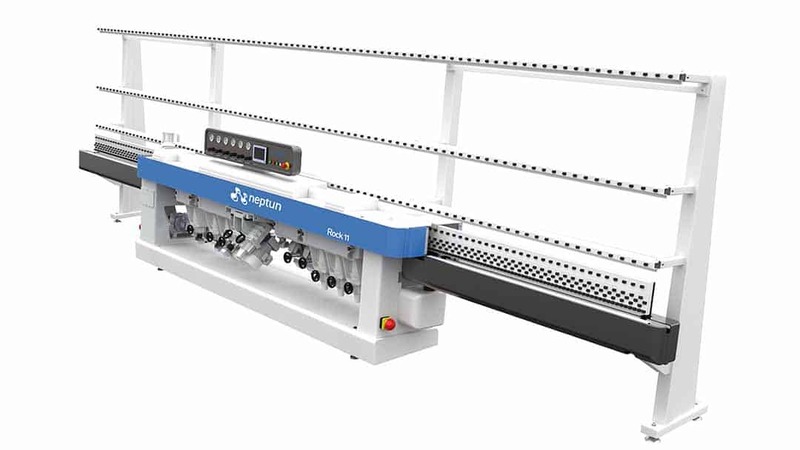 The Rock 14-45 is Neptun’s 14 spindle Variable Angle Mitering machine – Able to process a Flat with Arris edge AND Miter (from 3° to 45°) at the same time, on glass from 3MM (1/8”) to 40MM (1 5/8”). 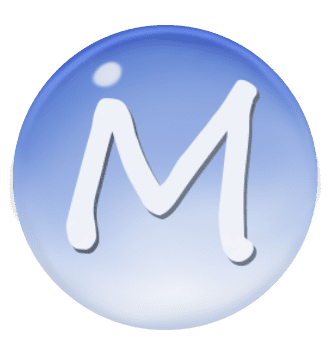 For additional information vist the Neptun website or give Matodi a call: 336-668-2300.